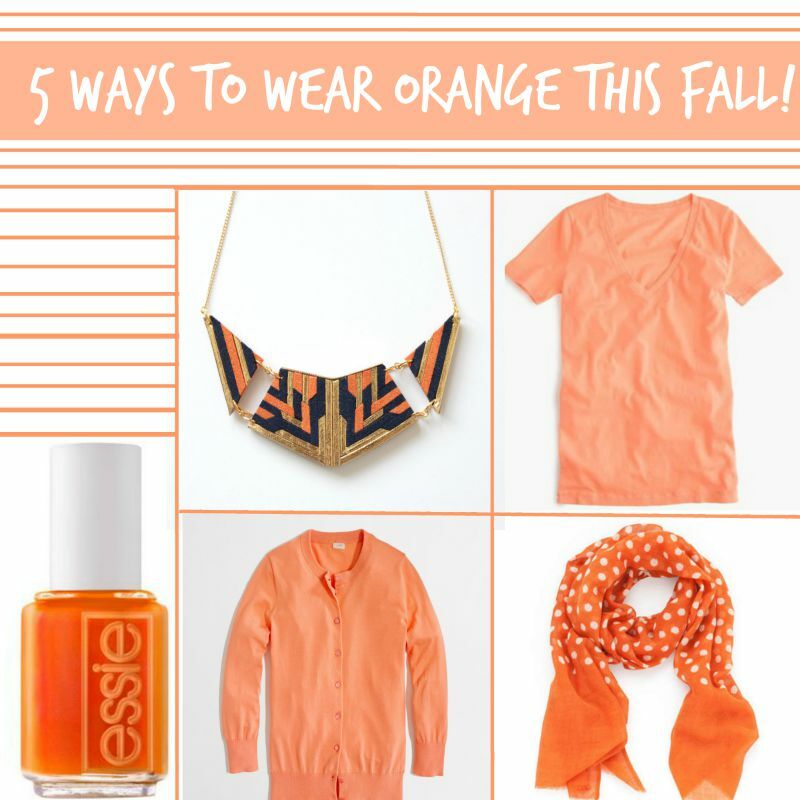 5 Ways to Wear Orange This Fall! Orange is an effervescent color that comes in varying shades to suit your many moods. Orange can be bright and energizing or it can be comforting and sultry. 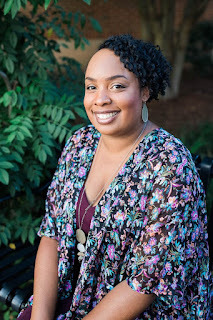 Check out these ways you can incorporate the color into your wardrobe! The navy and orange 3-piece necklace by Antelope has a tribal vibe that's also chic. This statement necklace can elevate a simple white tee shirt and jeans or it can be worn with a dressier ensemble. Suede and leather are combined with yellow gold for a necklace that would be great in any season. J. 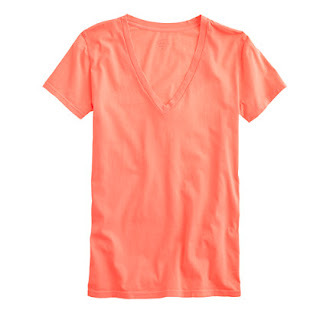 Crew tees are always a good idea and this vivid orange hue takes it over the top. Everyone needs cute tees and this one has a punch of color to make your outfit just a bit more eye-catching! Your nails need some love and attention too! Get those digits on point with Essie's Orange, It's Obvious! This daring shade provides exciting color for fall! 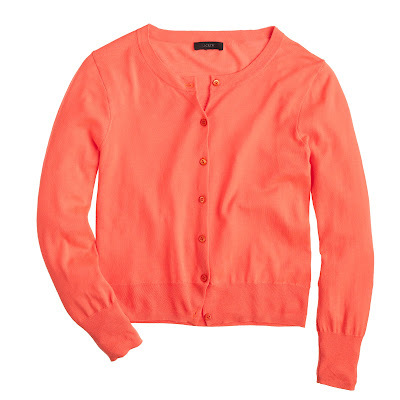 We all need a few colored cardigans in our wardrobes and J. Crew Factory delivers in refreshing "tropical orange." Wear this cardigan with your casuals to polish them up a bit or with your flowy dresses for a gorgeous way to keep warm! As a huge fan of polka dots, I'll take them anyway I can get them! This adorable scarf is a way to protect you from the elements while also looking seasonably fashionable. Scarves are a great way to incorporate color in your outerwear. Are you a fan of orange? Is it too bright or just right for your taste? So true about statement necklaces. They can take a plain tee from drab to fab instantly. I love orange I think it looks really goo against darker skin tones. I like orange, especially paired with brown for the fall. Love that cardigan! Yep, I usually pair my orange with brown too. I just love the burnt orange color for the Fall. It's such a bright feel good color. I like to mix n match other colors with it too to add diversity...Can't go wrong with orange. . I even like orange lip colors. Orange can go well with many different colors.